Jean Loney was born in London, England, raised in Toronto and then settled in Fergus, Ontario with her husband to raise their two daughters. Jean studied art at high school, however, while attending the University of Toronto she focused her studies on Sociology and English, and later pursued a career in elementary education. During her teaching years, Jean concentrated her artistic talents on creating a perennial garden for her century home. Digging in the dirt turned up shards of pottery, iron spikes, medicine bottles, and an old porcelain doll’s face. These buried bits of history led to a fascination with underground strata, shown in Jean’s sea- and earth-scapes. Jean studied watercolour techniques with Nan Hogg in Guelph and Jack Reid at the Haliburton School of the Arts. After her retirement from teaching, Jean changed her artistic focus after taking a short course in mosaics with Guelph artist Deb Dryden. 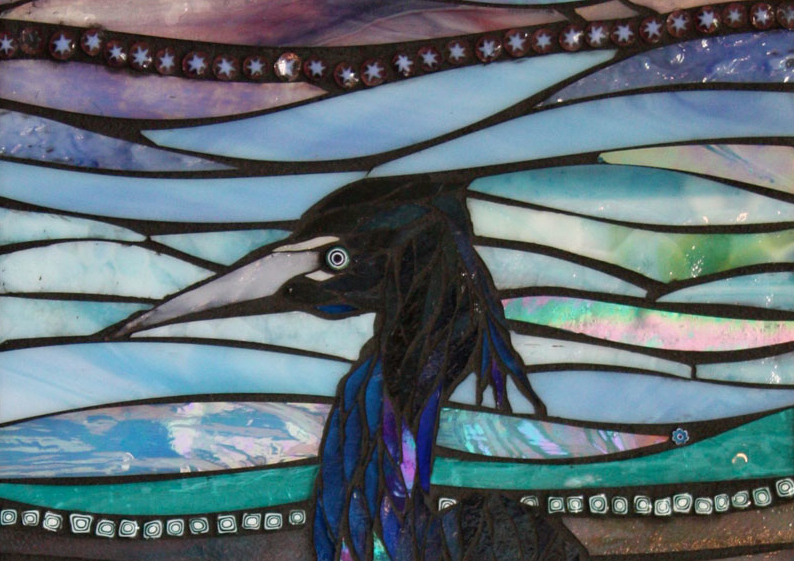 For a former primary teacher, “making mosaics is like cutting and pasting for grown-ups! It’s the colour, texture and sparkle of the glass that calls to me”. Although glass is not a fluid medium, Jean shapes it to represent air and water, making something effortless and flowing out of this concrete material. 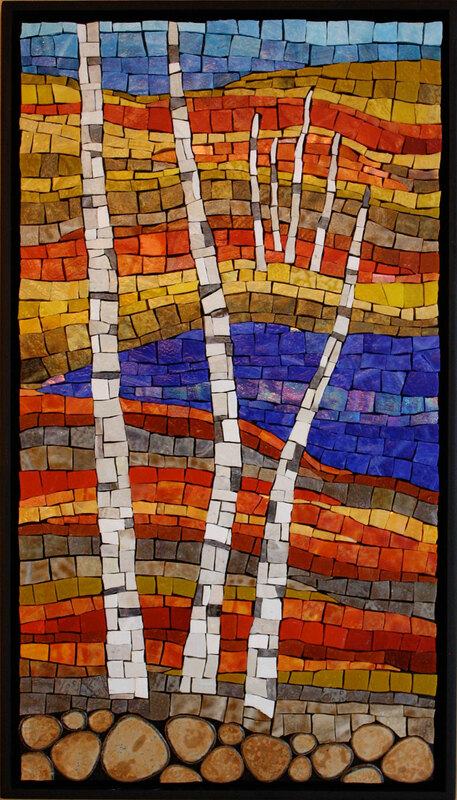 Jean has taken classes from North American masters of modern mosaic technique, such as Lynne Chinn, Yulia Hanansen, and Sophie Drouin. 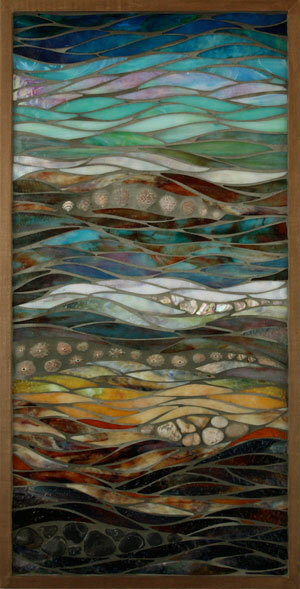 Currently, she teaches mosaics at the Maplestone Gallery in Creemore, Ontario. Jean’s work is in private collections in Canada, the West Indies, Australia, and Great Britain. She is a member of the Society of American Mosaic Artists. Intangible elements from my life are expressed in my mosaics. 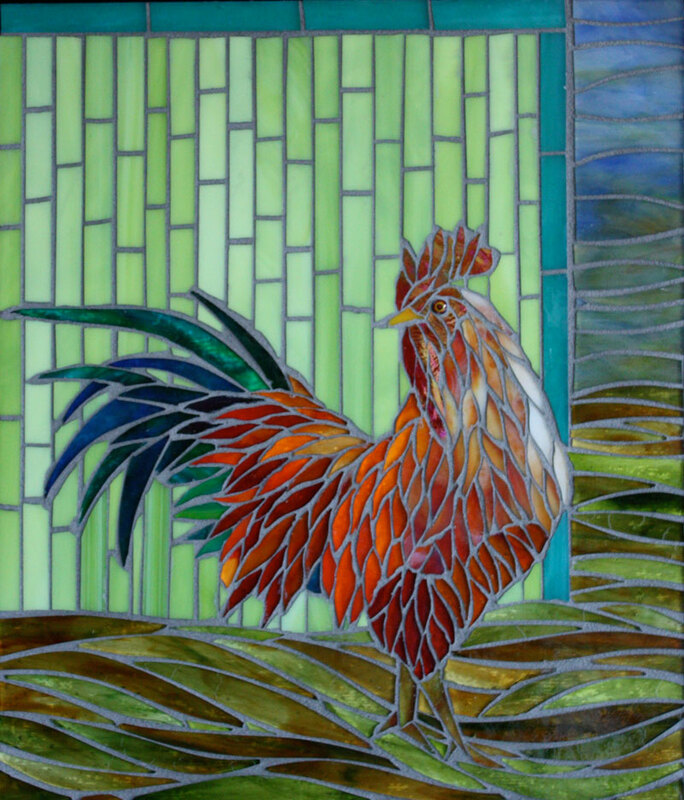 My work, like many contemporary mosaics, incorporates a variety of materials other than glass, including stone, tile, pottery shards, beads, and found objects. The choice of material is suggested by the image and the image is then shaped by my vision of its essence. 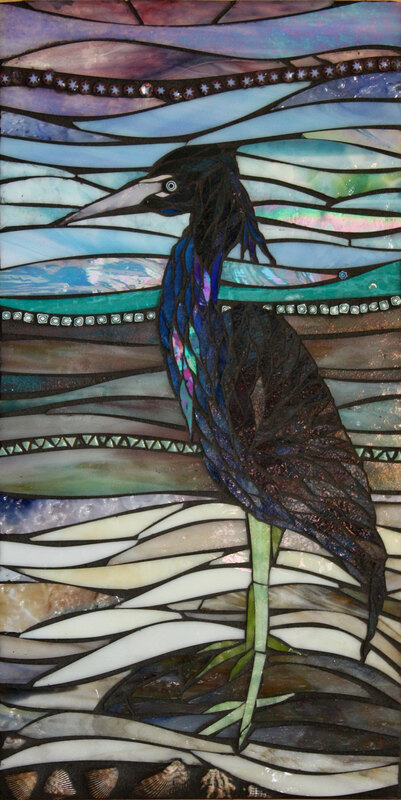 My current series of bird studies provides an entry to the magic of a natural world which for me is best expressed in glass mosaics.